Let’s talk about horsemanship, shall we? This October, Koelle Simpson and Kasia Roether are teaming up for a three-part telecourse to share their many years of collective horsemanship experience to help you further your knowledge and offer you support. As we know, horses are remarkable in their compassionate ability to mirror back to us our own internal struggles but learning how to accurately read them takes a bit of practice. On one end of the spectrum, some horses are highly sensitive and overly expressive while others are shy, subtle and even aloof. Like us, they emanate a wide range of individual personalities, characteristics and moods. They are incredibly gentle, intuitive and curious by nature and yet—when they become nervous or excited—they can be overwhelming and, in some rare cases, even dangerous. As an Equus Coach, your overall skill and confidence in partnering with a horse is a vital element that is required to help your clients become more self aware and enable them to transform their relationships. While there is no shortcut for the hands-on experience and time investment that is needed to become deeply familiar and competent with horses, experienced guidance can give you a tremendous leg up to help you effectively translate the language of Equus. 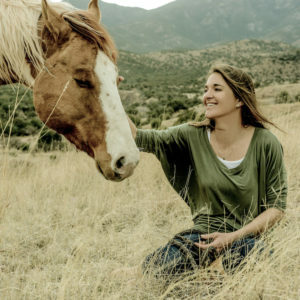 This understanding enables you to create a quality, open-hearted connection with horses and thus foster an environment of safety and learning for both you and your clients. Wherever you are in your Equus Coaching practice, we encourage you to join Koelle, Kasia and your fellow Equus Coaching Herd, as we gather over live video conference for this powerful three part Horsemanship Continuing Education Telecourse. Koelle and Kasia will cover the most common questions about teaming up with horses that frequently arise for Equus Coaches. What types of horses you should be looking for when preparing to conduct Equus Coaching sessions. What is the best way to get familiar with horses you don’t know. What should you be asking a facility or horse owner regarding their horses to ensure that they are indeed suitable and safe for clients. What signs do you need to watch for that could indicate that a horse is not safe to use. How does an overly desensitized horse behave and is there anything you can do about it. What does separation anxiety look like and what you should do if you have a horse with separation anxiety. What does aggressive horse behavior look like and what you should do if you come across this. How you should interact with a horse that has had a lot of prior training and tends to turn to face you all the time and/or watches for specific trained signals to respond to. What you can do with horses that are prone to biting, pulling on the lead line, head budding and other poor ground manners. How you can recognize when a horse is not healthy or physically sound. 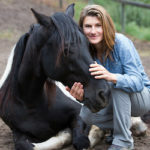 Are horses are negatively impacted by your client’s emotions and how you should approach the topic if those around you are worried about the horses’ well-being. 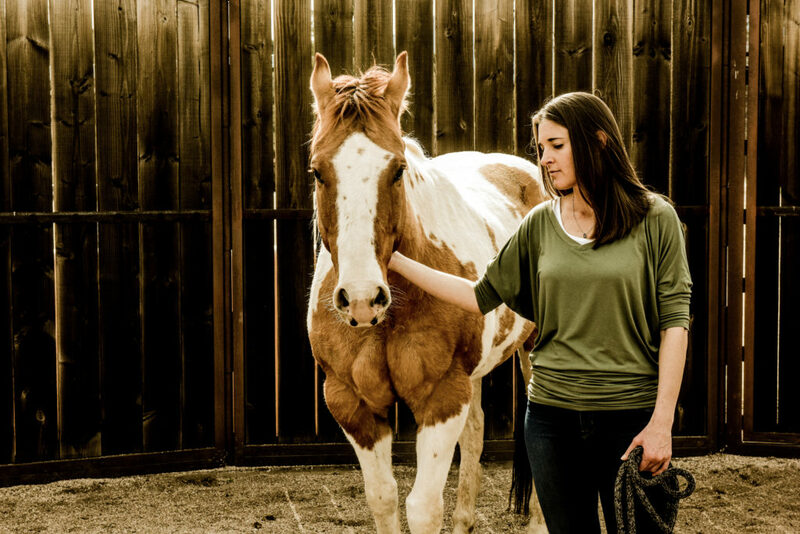 How you can help a horse stay fresh and engaged while working with clients. What exactly is the language of Equus and what’s happening in the communication exchange between horse and human beings. How you can cultivate an environment of safety and calm even when a horse becomes excited. What non-verbal communication is helpful to watch for, within the herd, while doing a pasture session with your client.